Air New Zealand has dropped the price of some of their flights from Vancouver to Rarotonga, Cook Islands in the south Pacific down to $832 CAD roundtrip including taxes. 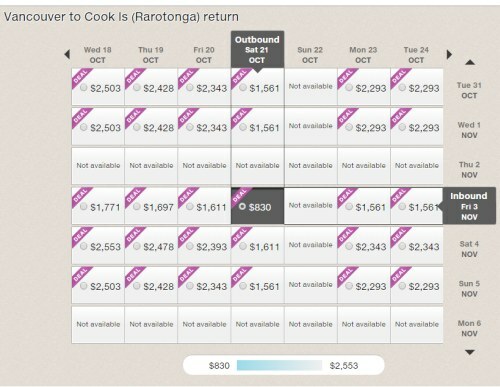 While it's not as great a deal as they've had in the past (when they've dropped them into the $700s CAD roundtrip), it's still a pretty great price for the Cook Islands. The number of available dates are pretty limited outside of September 2017. There are also flights available from Victoria (YYJ) to Rarotonga, Cook Islands for the same price. Update @ 7:30 AM PST - These seem to have just suddenly disappeared from the Air New Zealand website. Seems a little too soon to have sold out already. Will keep an eye on it. Update @ 8:30 PM PST - It looks like these are back now, for $830 CAD roundtrip including taxes. 1. Go to the Air New Zealand website. 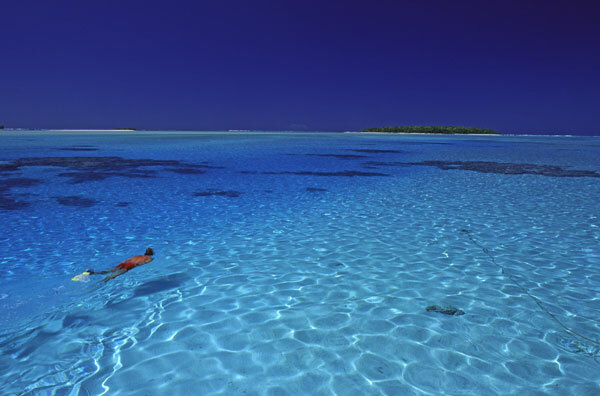 Update 6/27 - Airfares from Vancouver to Rarotonga, Cook Islands are back again today for $829 CAD roundtrip including taxes. This time there are dates deeper into November, and early December. 4. Click through from Momondo to the Air New Zealand website. The map below will show you some great deals on accommodations on the Cook Islands for under $119 CAD/night for 2 people. vancouver, yvr, flight deals, victoria, yyj, air new zealand, pacific islands, rarotonga, cook islands, polynesia and australasia and oceania.